SparStar Saturday Night Fights Recap & Photos | MMA Fighting Events Videos Techniques UFC Fight Picks and News. 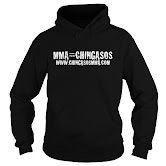 Check out the fight recaps by Chingasos MMA Lieutenant Ricardo Robles. Rugama threw a few punches and quickly shot in for a double. Luszczynski went for armbar, but Rugama slammed Luszczynski to escape. The fighters stood and Rugama got a single with Luszczynski going for armbar again. The fighters got back to their feet and Rugama ended the round with a double. Rugama rushed in with punched. Rugama trapped Luszczynski against the cage with punches. The referee stepped in to stop the fight. The fighters came out throwing chingasos. Rabanales went for the takedown, but Gamboa popped up. Rabanales got another takedown and Gamboa went an armbar. Rabanales slammed his way out it, but Gamboa went an omaplata to escape and get the fight back to standing. Rabanales caught Gamboa with a chingaso to end the round. Gamboa rushed in but Rabanales caught Gamboa with some hard chingasos and put Gamboa on the mat. Rabanales threw ground and pound and the ref nearly stopped the fight. Gamboa survived the barage and went for a submission. Gamboa escaped and got back up. Both fighters exchanged chingasos to end round. Gamboa came out firing and landed. Rabanales threw back and the fighters went back and forth. Gamboa was landing more, but Rabanales ended with a flurry of chingasos. Result: Alexander Rabanales via unanimous decision. Chavez-Garcia rushed in but Dominguez got the takedown. Chavez-Garcia trapped Dominguez with an omaplata. Chavez-Garcia held that position, halfway transitioning to the back, and attempted a choke to end the round. Chavez-Garcia threw a kick and grabbed Dominguez to drag the fight to the ground. Dominguez landed some punches. Chavez-Garcia put Dominguez in mission control but Rodriguez escaped and landed more punches. Dominguez got the double leg takedown. Dominguez worked hard to pass the guard, but Chavez-Garcia used the half guard lockdown to stay out of trouble. 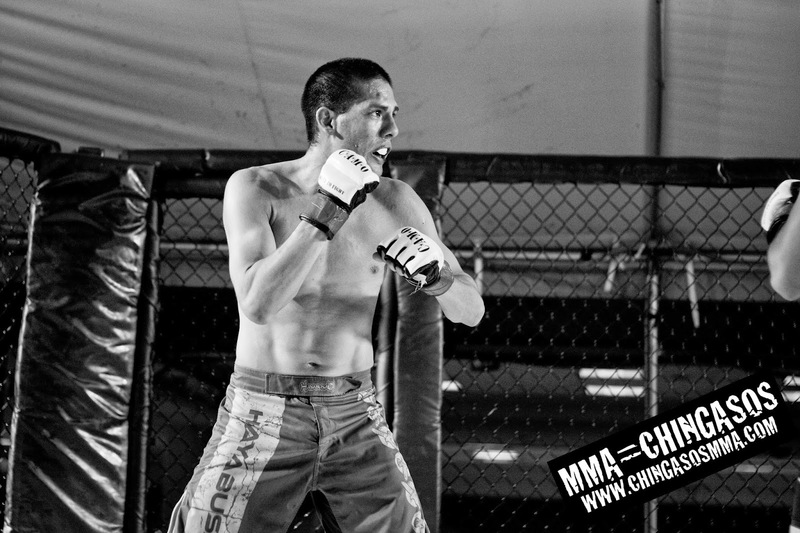 Adolfo "Fo" Dominguez via unanimous decision. Lopez landed a couple of leg shots but Lopez fired back with punches. Leco landed chingasos to drop Lopez twice. Lopez was able to get back up, but Leco dropped him again. Lopez was able to get back up, but Leco got a takedown to end the round. Leco was the more aggressive fighter, stalking Lopez. However, both fighter were landing equally. Leco dropped Lopez and went in for the finish. Lopez was able to stand back up. Leco dropped Lopez again and the referee stepped in to stop the fight. Both fighters came out throwing hard chingasos, but it was Rodriguez that was able to drop Tovmasian. Tovmasian got back up and the fighters went right back at the chingasos. Tovmasian went for a takedown but Rodriguez ended up on top. Rodriguez kept throwing chingasos. The referee stepped in to stop the fight when Rodriguez landed a chingaso that knocked out Tovmasian. Both fighters rushed to the center of the cage and clinched. Gonzalez used the clinch to get a takedown. Gonzalez Got back up and Vazquez got another takedown. Gonzalez was able to get the reversal and go to the mount. Vazquez got his own reversal and went to Gonzalez's guard. Gonzalez threw a spinning back kick to the head. Vazquez ducked under and got the double. Gonzalez worked for an armbar from the bottom, but Vazquez escaped. Gonzalez threw a kick to the body, but Vazquez caught it and finished a single. With no action on the mat, the ref stood them up. Both fighters fought for a takedown, but Gonzalez ended up on top. Vazquez reversed to end the round. Result: Angel Gonzalez via unanimous decision. Rodriguez clinched and attempted a takedown. Dutra defended and both fighters started throwing punches. Rodriguez clinched and was able to get the takedown. He transitioned to the back and finished the round with a rear naked choke attempt. Dutra shot in for a single. Both fighters fought for position and Dutra ended on top but in Rodriguez's guard. Rodriguez worked for a triangle/armbar from the bottom. The round started and Rodriguez pinned Dutra against the cage. Dutra was able to get the takedown and landed chingasos from the half guard. Rodriguez got on top and went for and got the submission from the side. Result: Chris Rodriguez via forearm choke. Sydnor landed a hard body shot. Green bent over in pain and Sydnor threw a chingaso that dropped him to the mat. Sydnor jumped on the ground and pound opportunity. The referee stepped in to stop the fight. Widdoes got the takedown and landed some shots. Gorsegner worked his way back up but Widdoes snatched his neck. Gorsegner refused to tap as Widdoes tightened up the guillotine. Widdoes finished the fight with the guillotine as Gorsegner went to sleep. Result: Kevin Widdoes via guillotine submission. Cabral ran to the middle of the cage, ready to engage, and landed some hard shots. Cabral controlled the round with his striking. Both fighters stood in the middle of the cage and traded chingasos for most of the round. As the round was ending, Castodio landed a flurry of chingasos. Cabral once again came out aggressive and controlled the center of the cage. Both fighters threw chingasos, and they each landed their own. Castodio went for a takedown, but Cabral fought it off. Cabral landed hard chingasos to end the fight. Results: Eric Castodio via split decision. Stay tuned for more info on upcoming MMA events in the Los Angeles area. If you have a Facebook or Twitter, add us and stay in touch.